It’s that time of year again and I thought I would write you about some gift ideas to think about for the Holidays. Many of the items on last year’s picks are still good too! Many of the items below are also on sale through Monday. While I remain a huge fan of Rimowa - nothing can beat the Topas Aluminum in Stealth Black, I also appreciate that at that price point - it’s not a great option. I’ve been really impressed with Away. We got our kids their first set of carry on luggage. Carry On - Normal Size - 34-39 Liters. Great for 2-3 days. Carry On - Large Size - 45-50 Liters. Some airlines let you bring on this giant a carry on bag - so I have one. I can usually fit 5-6 days of clothing in here. British Airways allows this size. Check In - I think the sweet spot is 60-68 Liters. Anything bigger is too hard to carry and probably does not meet the weight limit anyway. I am a big fan of aluminum bags as they have a non zipper and gasket so your bag is shut and nothing is getting in or out of there. This suitcase will get dented and scratched but that adds to the charm. I wrote about these last year - and they now have a new design. I find that these are the best quality frame out there with a really great iPhone app for updating photos. For most people who have an older iPad or for people that don’t, I’d recommend the 11 inch iPad Pro with the Smart Cover Keyboard and Apple Pencil. The new iPad is brilliant. The Apple Watch Series 4 is the best watch Apple has made so far. It’s a really great product and I love mine. I personally love the black stainless steel, but all the models are great. This product is hands down one of the best inventions Apple has made. They last forever, are useful for phone calls or listening to audio books and podcasts. I take mine with me everywhere. I think the Surface Go is the best laptop you can get for your kids. Both our kids have them, love them, and use them all the time. They are a bit small for an adult, but for kids no problem. And they won’t break the bank. Yes you could get a cheaper chromebook for your kids that does less. I would get the top end model (8GB / 128GB HD) with the Pen and the Keyboard. My wife still loves her hair dryer and so do I (it’s so quiet)! Our daughter loves her Fitbit Ace. This is a tracker designed for kids. Plants always make for a great gift, and this company Sill, delivers a whole kit to anyone you want as well as tutorials and instructions for how to keep them alive. I really like Calathea plants as they look nice and are easy to care for. The most amazing t-shirt I own. I don’t have this, but I think it’s a fantastic idea - a picture frame by day, a phone charger by night. Twelve South makes awesome products. Another company that makes fantastic products is Nomad. I really like their new Apple Watch + iPhone wireless charger. They also make great cases, wallets and other accessories. They are offering 30% off many items on their site for black Friday. This is one of the nicest scarfs I have ever held. I own one in gray and in the winter I take this with me everywhere. It’s unisex and comes in 40 colors. Lora and I each have one. Made from the thinnest Cashmere I have seen. These are really wonderful and they ship directly from Scotland. This is on my holiday list each year as it makes for a great gift or something you can collect each year. Lora and I both sleep with the Oura ring - a really impressive piece of technology and sleep tracker. These make for great stocking suffers for the chef in your house. The new Kindle Paperwhite is awesome - it’s now waterproof too. I like the flush front design and increased storage. I personally have the Oasis as I like having hard buttons, but the regular Paperwhite is a great option for kids as it has a backlight and you can upgrade the storage. I got my son the 32GB model since he reads so many of the same books over and over. I had heard of these before but never tried them. They are hard to describe till you try them on yourself - but essentially these are headphones that you don’t put into your ear - or on your ear. They sit in front of your ear and then make vibrations that are sent into your body and “heard”. The nice thing about them is that you can hear everything around you - which is very convenient for my wife and kids who listen to things at home and when they do it’s nearly impossible to get their attention. These are great for listening to podcasts or audio books. The one thing I own in the kitchen that I love the most are my Blu Skillet pans [review]. I have purchased gifts for some friends and family too - but they are hard to come by. So if you are interested they just announced their holiday ordering plans - try and get a 13 inch fry pan or a smaller 10 or 9 inch. If you don’t have one I would start with the 13 inch fry pan. We own the 13 inch fry, french and 9 inch fry. If you are local to Seattle, stop by in December (get there early) and you’ll probably have good odds of getting one that way too. I recently discovered this bag maker in Costa Mesa, CA and have purchased some of their products for myself and family. Their Standard Issue Backpack makes for a great school backpack and I have the Conceal Bag in Camo. These cameras are fun for kids and adults. Our son has one and it’s fun to see the things he likes to photograph and to also slow him down a bit and take photos with a scarce resource - film. I’m currently in South East Asia and wanted to travel light for this trip. As such I was on the look out for some merino wool shirts. I have brought two brands with me that I am enjoying and I thought I would write about my experience. Over the past few years you’ve probably noticed more and more merino wool products. Merino has many qualities that make it perfect for travel (or really every day usage). I've been trying them both out on this trip. They both clock in around the same price - $65-$68 a shirt. 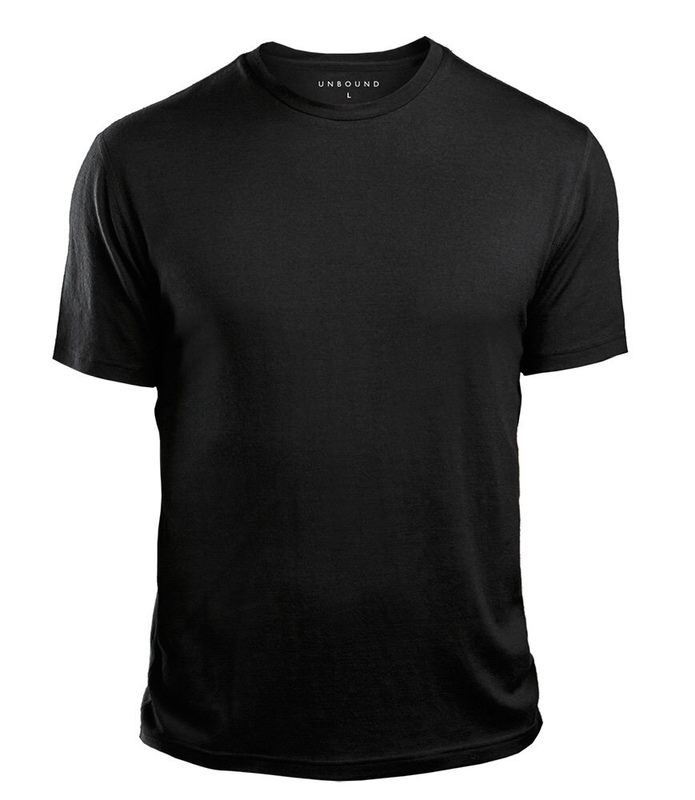 This shirt is made from 16.5 micron New Zealand Wool and Nylon blend. This shirt is made from 100% 17.5 micron New Zealand Wool. They are about to launch a Women’s line too. You don’t need very many of these as a few shirts can be worn for days. They also pack light. I personally like the Proof shirts more. They are just a bit thinner and have a nice drape to them. They have a bit of nylon blended into the shirt which allows the shirt to be washed and dried (I don't recommend - just hang dry as it’s fast drying). I have the black, blue and grey and the colors are just what I was looking for. The shirt can be worn as a layer but can also be dressed up. 2 years ago, we replaced all our Dinnerware with products from Heath Ceramics. After more than 10 years with our previous dinnerware we wanted a product that would last a long time and was incredibly durable. Heath Ceramics has been making Dinnerware since 1948. Some of their pieces will be found in many restaurants around the country. Their products are hand made. If you have a chance to visit their store in the Ferry Building in San Francisco, or their showroom in the Mission - it’s well worth it.